Traumatic knee injuries occur everyday as well as knee surgery. 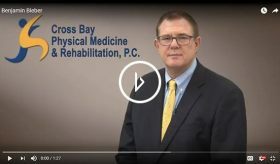 Many doctors instantly recommend surgery as a fix all problem for moderate to severe knee injuries but as a Sports Medicine and Rehabilitation physician for over thirty years, I can tell you that there is a non-surgical approach to healing complex knee injuries. Traumatic knee injuries happen everyday. In fact, there are 600,000 knee replacement surgeries performed each year in the United States. Dr. Benjamin Bieber’s goal is to treat traumatic knee injuries such as ACL, MCL, LCL tears and chronic osteoarthritis non-surgically.